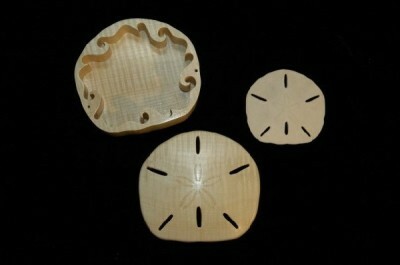 This box is a scaled up sand dollar shell we we went found in the Bahamas (2002). 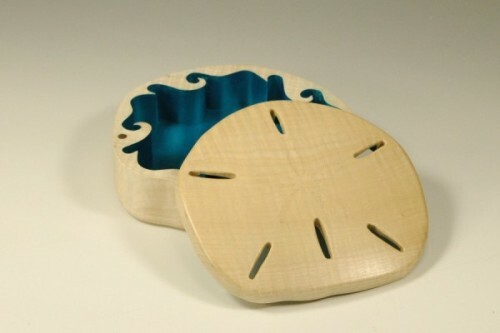 The internal part is intended to look like a wave (see photo below), and was painted blue. 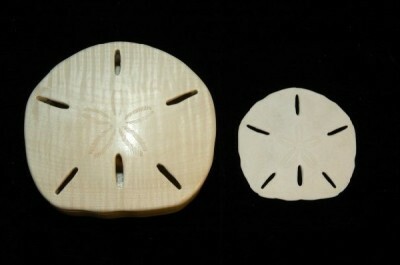 The cover has has little fins etched on it, the photo below shows the box next to the real sand dollar shell (on the right).